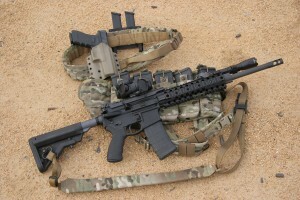 Winner will receive all-expenses paid 5 day tactical training adventure to the Freedom Fighters Foundation’s facility located in the Southwestern United States and includes air fare, lodging and meals, all ammo necessary for training, an AR15 in their dream configuration with optic, 6 Magpul Mags, Glock 17 pistol with 3 magazines, and Ares Armor gear. The Tactical Training Adventure begins with a full day of pistol training. This course will begin with a review of the handgun fundamentals and cover gear selection and placement. Then you will quickly develop your shooting skills with drawing from a holster exercises, emergency reload drills, recoil management and sight tracking exercises just to name a few. Once you have that down, we will take you through the tactical use of cover, adverse angles, multiple target engagement exercises, tactical sequence and priority drills, alternate shooting positions, standing turning and walking, ground fighting, shooting on the move, moving target engagement, long range shooting techniques, and one-handed, strong and support hand manipulations. 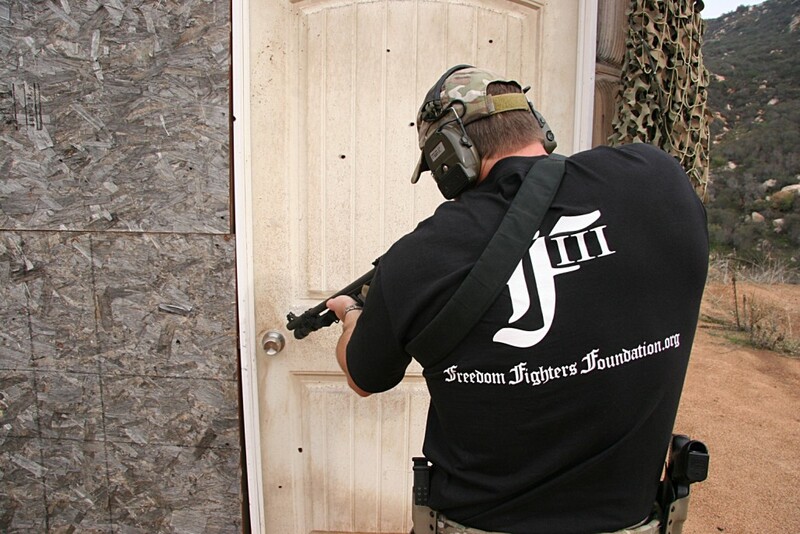 After you have mastered these skills we will put it all together with shooting from both stationary and moving vehicles, house movements and single person structure clearing, concealment techniques, and low light shooting exercises. Hopefully when this day is done you can’t stop smiling knowing the next day will get even better. The second day of training will focus on your primary weapon system the AR15 carbine. As with any course we begin with safety, and then we will cover gear selection, carbine characteristics, accessories, shooting fundamentals and sight in procedure. 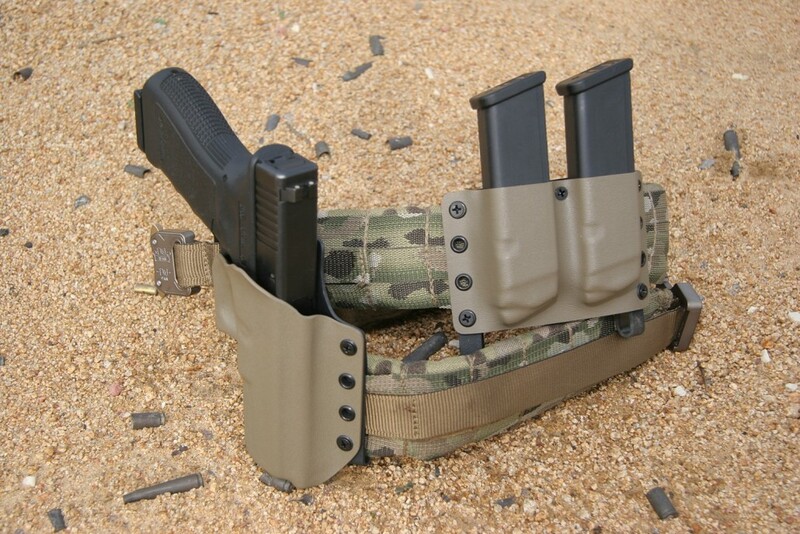 Once the weapon is zeroed, we will jump right into the proper use of the Ares Armor Husky sling, sight management, the four ready positions, and magazine exchanges, (administrative, tactical, and emergency). Next you will learn shooting positions, transitioning to shooting positions, target acquisition, recoil control, shooting multiple targets, tactical sequence and target priority. Additionally, you will learn unusual shooting positions in urban environments, preform movement drills (forward, lateral, and backwards), transition to pistol drills, close contact shooting, deploying from vehicles with the carbine, shooting from around vehicles (both stationary and moving), shooting from barricades, night shoot using the carbine at various distances, deployment and use of night vision exercises. 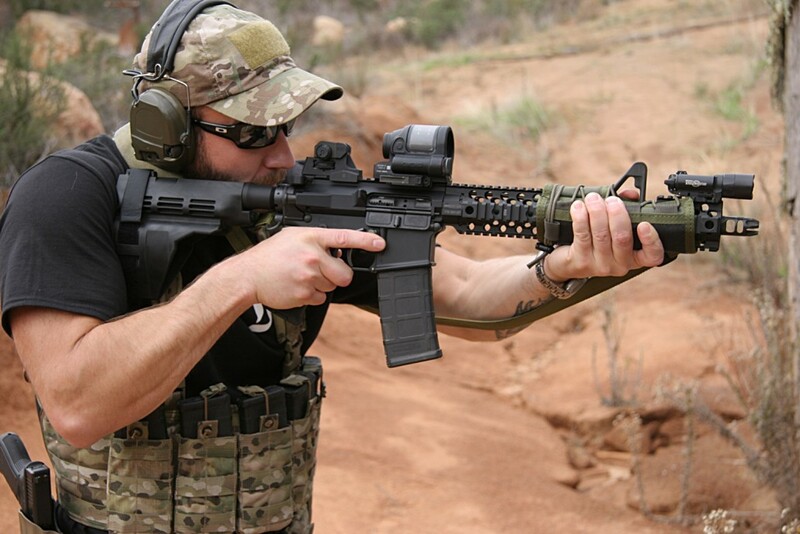 The carbine course and live-fire exercises will provide you with the needed training to employ the carbine safely and effectively with in a variety of shooting situations and reinforce those skills when applied in different ways. The third day of training will begin with the tactical use and application of the shotgun weapon system. 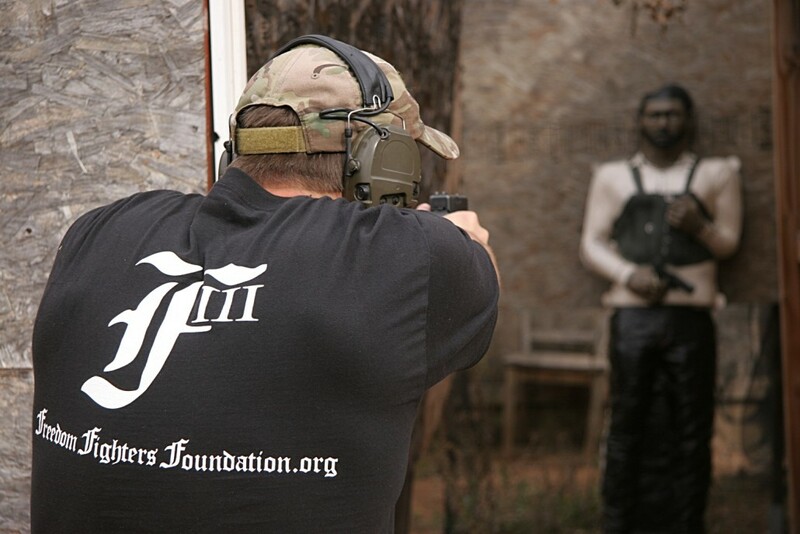 This course will cover both pump and semi auto shotguns (Benelli M4 and Remington 870). The shotgun is the most versatile weapons system available and to understand its versatility you will learn the psychology of violence, ammunition selection, reloading, malfunctions, maintenance, shooting on the move, house clearing, shooting from around vehicles (both stationary and moving), angle shooting, target discrimination, transition to secondary weapon, door breaching, material penetration exercise, and perform shot pattern drills. On the fourth day you will have one of the most experienced Marine Corp snipers give you a full day of precision rifle instruction. 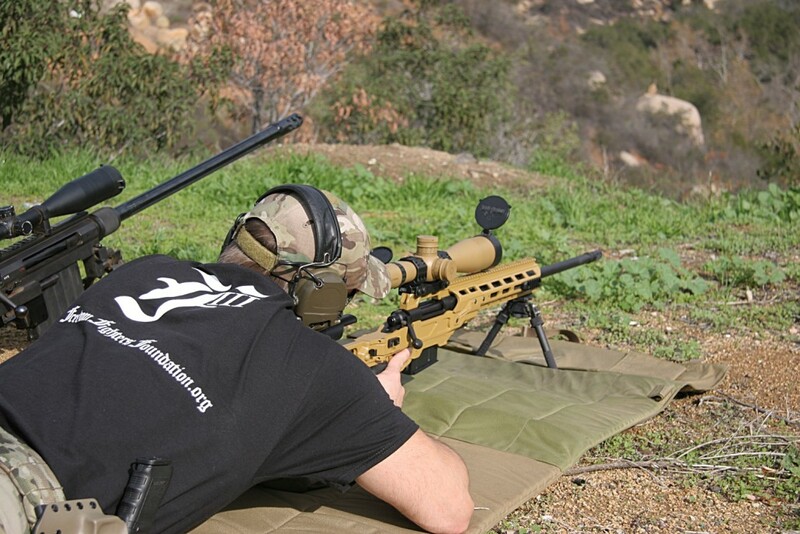 Tyler Hughes of Max Ordinate Academy has tailored a course that will cover the fundamentals and application of marksmanship, reading and accounting for wind, understanding atmospheric influences, scope manipulation, data collection, Minutes of Angle (MOA) and milliradian formulas. After the lecture and demonstrations, Tyler will have you shoot from the prone, supported, and barricade positions. You will engage reactive and moving targets for a variety of distances and angles out to a mile. You will also shoot through different mediums and learn how a projectile performs and its effectiveness after passing through the different materials. Later in the afternoon into the evening you will be instructed on familiarization and utilization of nigh optics. The skills learned in the prior four days will be utilized in the final day of aerial gunner training. This course is designed to take the knowledge and abilities you have learned to new heights…get it? 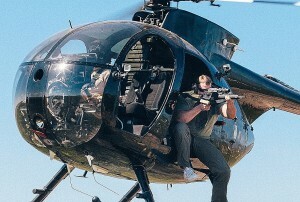 Whether you are part of an SRT, military sniper, or civilian pest controller on a ranch the art of shooting from an aerial platform will provide anyone with a unique skill set. This exciting day of aerial gunner training will consist of a comprehensive safety and advanced communication techniques to insure the integrity of the shooter and the aircraft. Aerial gunner training will marry the fundamentals and application of marksmanship with the advanced skills required for aerial platform shooting. This course will include mathematical formulae, high angle equations and range estimation; all while flying in a helicopter. By end of your Tactical Training Adventure we promise you a training evolution that you will remember for the rest of your life. Click here to fill out the entry form. If you don’t enter you can’t win.